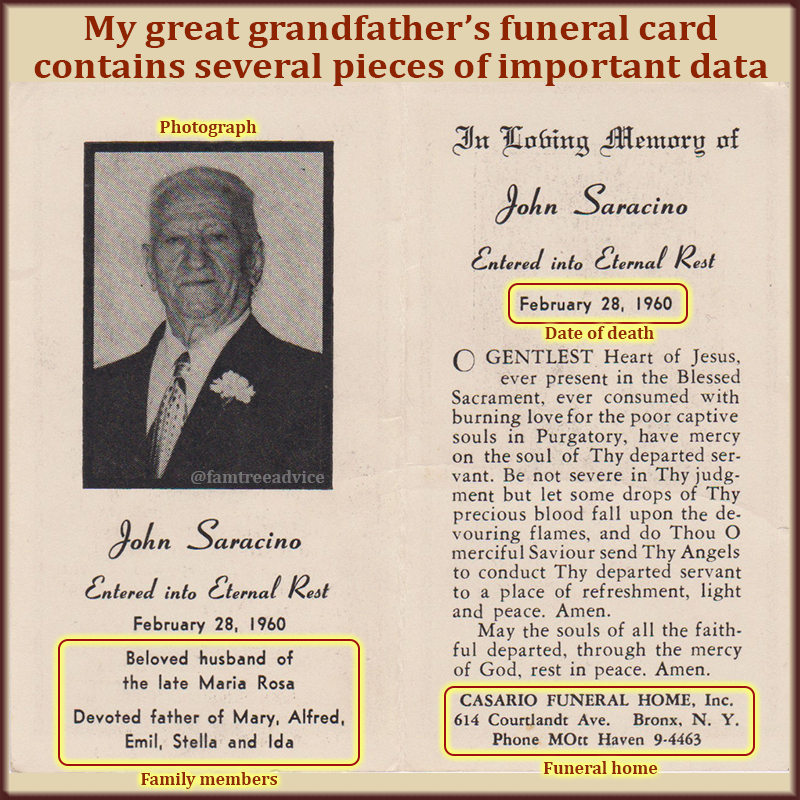 Have you added your relatives' funeral cards to your family tree? In my small collection of paper family tree documents is a small stack of funerals cards. Each is a little bigger than a business card. They have a religious image on one side and a prayer on the other. Some are laminated. One folds out to double its size. These keepsakes provide some important information about my relatives. You can expect to find funeral cards at the funeral home to commemorate the deceased. They provide printed evidence of your loved one's date of death. They contain the name and address of the funeral home, which can be important to you. 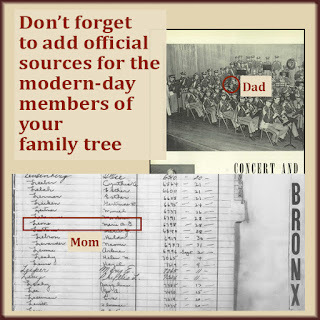 Did you know that a funeral home can tell you where you ancestor is buried? They can check their records for the burial place. 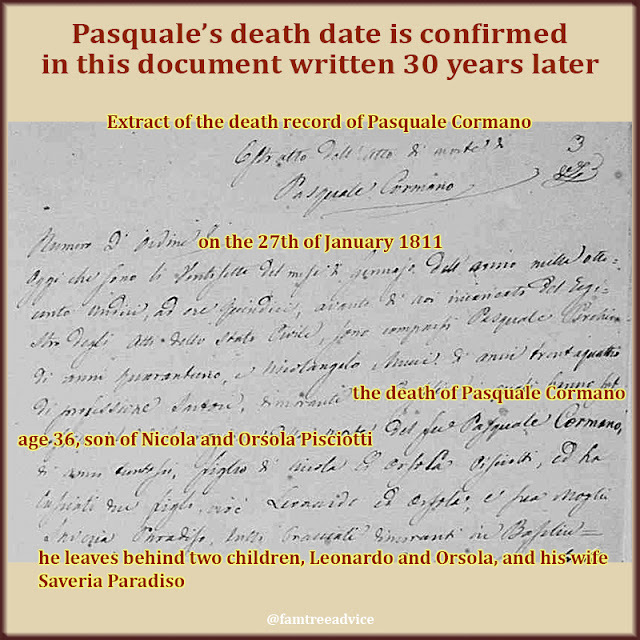 I had no luck finding my great grandfather Pasquale Iamarino's Ohio death record. Then I contacted the funeral home from his 1969 funeral card. They sent me a copy of the death record. 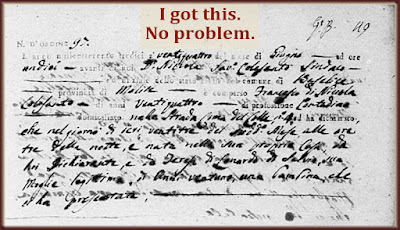 It had been impossible for me to find because of a bad typewriter. A dirty O key looked like an E.
The crown jewel of my card collection is the fold-out card for my other great grandfather, Giovanni Sarracino. It lists the names of his wife and five children. And while all the names but one are Americanized, it's still pretty awesome. It even has enough room to include his photograph. 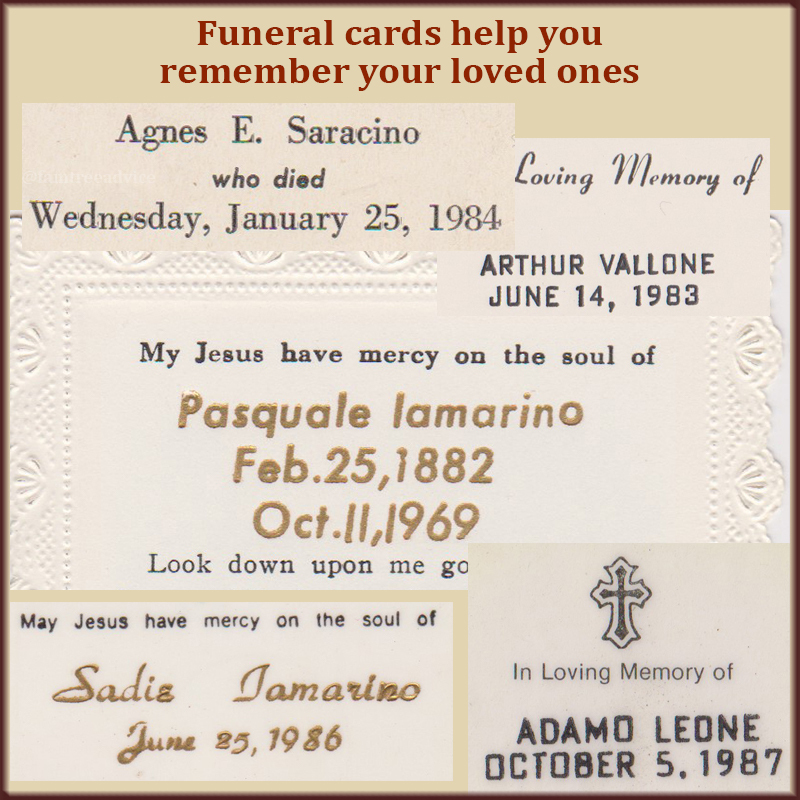 This unusual funeral card format includes a photo, family names, and a prayer, plus 2 religious images on the other side. If you don't have funeral cards for your relatives, other members of your family probably do. Ask them to photograph them for you. I've scanned my funeral card collection, and I'm attaching them to my family tree. Each one is a highly unique item that deserves to be in your family history collection. On yet another episode of "Who Do You Think You Are" a celebrity learned she's descended from a king. The 20-foot-long ancestor charts they unroll so dramatically on TV are likely to frustrate us mere mortals. Other celebrities' ancestors were on the Mayflower, fought in the Revolutionary War, or were among the Founding Fathers. All have deep, traceable roots in America. That can make an Italian-American like me feel like a newcomer and a nobody. Antonio was my first ancestor to arrive in New York City in 1890. I had no useful documentation for him other than his 1898 crossing when he was 55 years old and brought his wife and children to America. 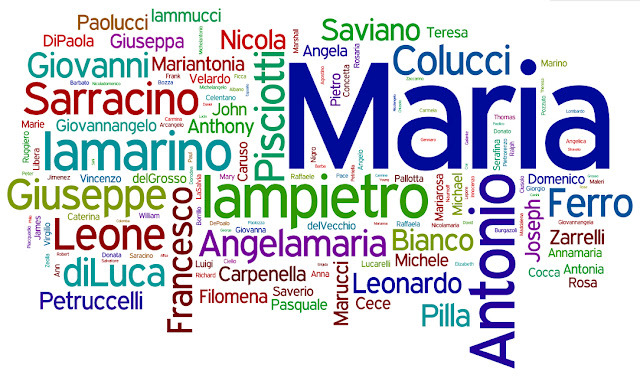 So how does someone from Southern Italian peasant stock wind up with the names of a handful of her 9th great grandparents born in the early 1600s? 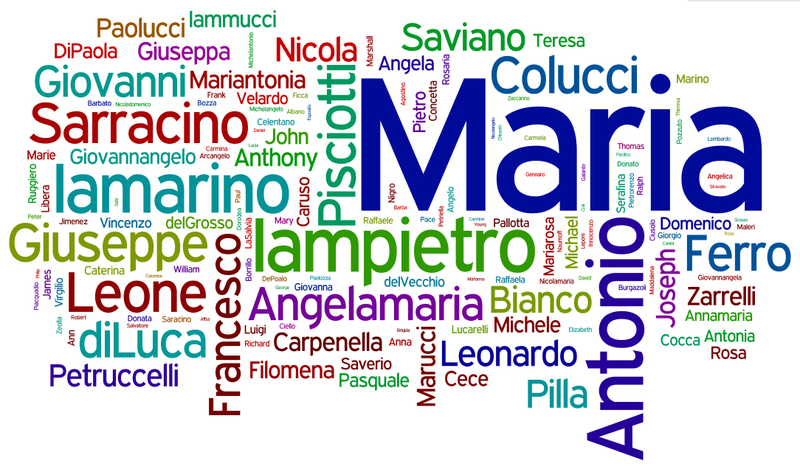 Here are 2 ways to learn the names of these early, low-profile ancestors. An 1821 marriage record I hired a professional genealogist to find. One of my brick walls was my first immigrant ancestor, Antonio, born in 1843. I still don't know anything beyond the names of his parents. 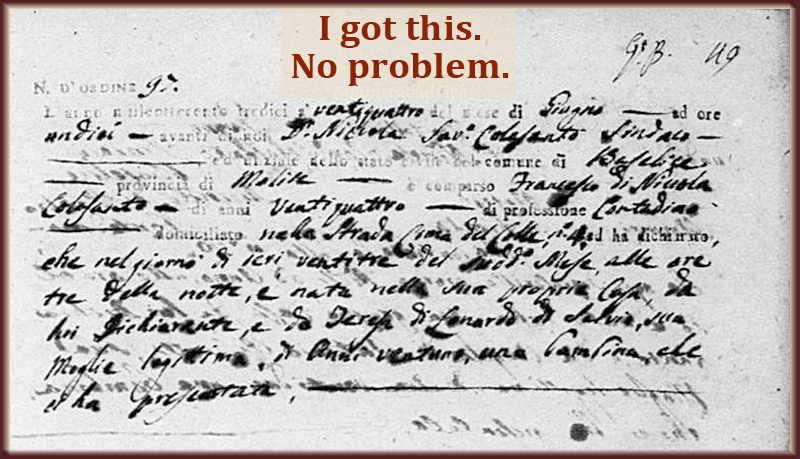 I hired a pair of Italian genealogists to search church records from Antonio's tiny hometown. The town, Pastene, is basically one long street with a church in the middle and a cemetery at one end. Unfortunately, it was not mandatory for this little hamlet to keep civil records. 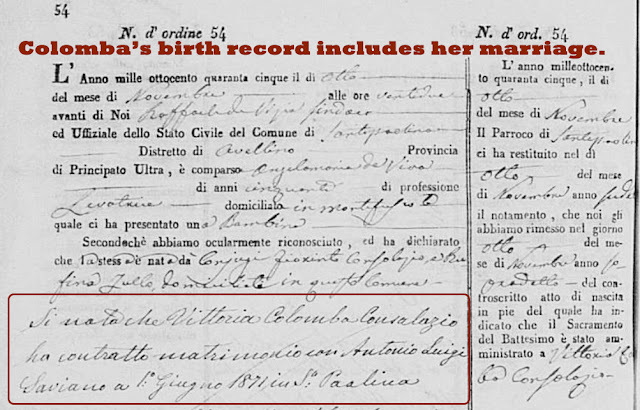 And my genealogists learned there wasn't even a church birth record for my Antonio. Thankfully, they focused on another of my Pastene ancestors. I'm absolutely thrilled with what they found for me on his family. 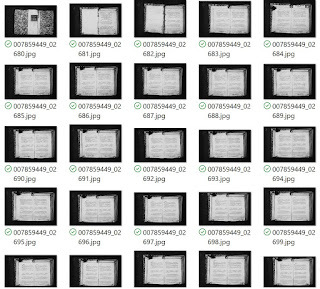 A 1791 church death record found within 1848 marriage documents. 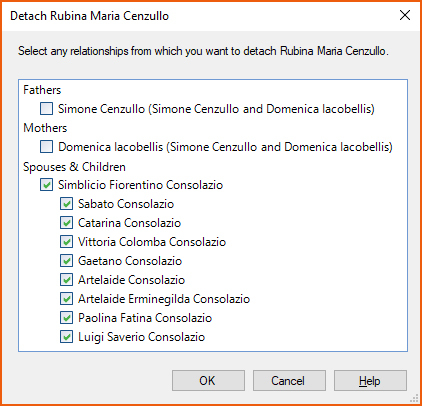 Shortly before I hired the professional genealogists, I wasn't sure where Antonio was born. But I knew he lived in Pastene in 1898 when he brought his family to America. 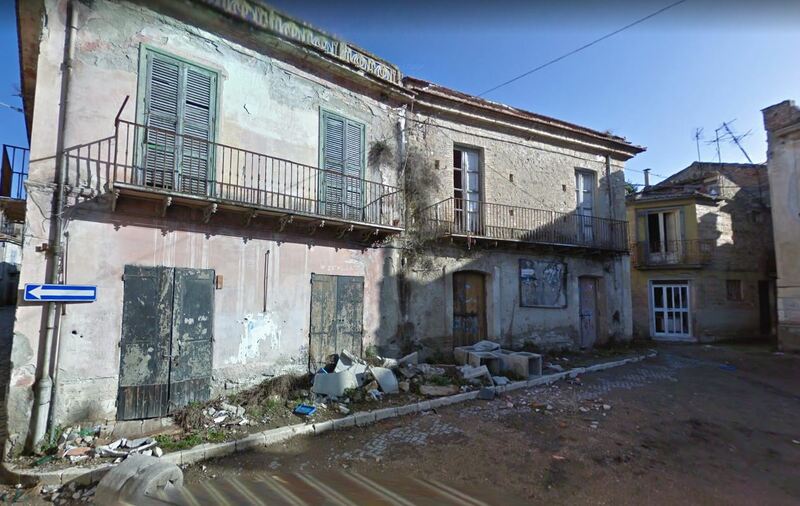 Then a World War II draft registration card told me his eldest son was born in another town called Tufo. 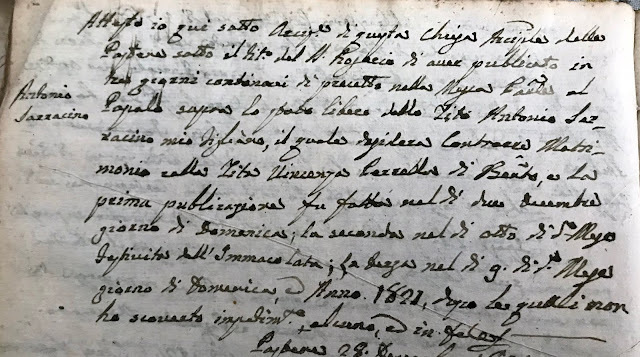 I used my nearest Family History Center to view the Tufo civil records and learned that the family hadn't lived there for long. They came from nearby Santa Paolina, so I had to view those records. Antonio's wife Colomba was born in Santa Paolina. Colomba's parents were Semblicio and Rubina. 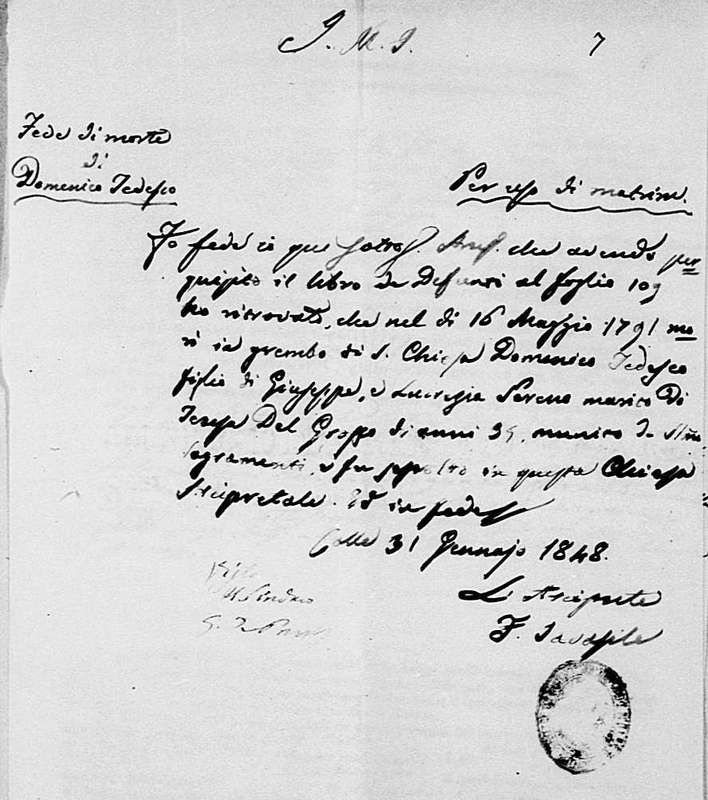 Antonio was, in fact, born in Pastene on 7 July 1843. 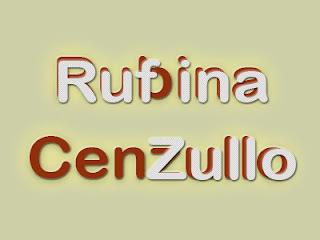 His parents were Raffaele and Grazia. All 4 of Antonio and Colomba's parents were alive in 1871. If any had been dead, their death records would be in the marriage documents. And you know what's on the death records, don't you? The names of the deceased's parents. 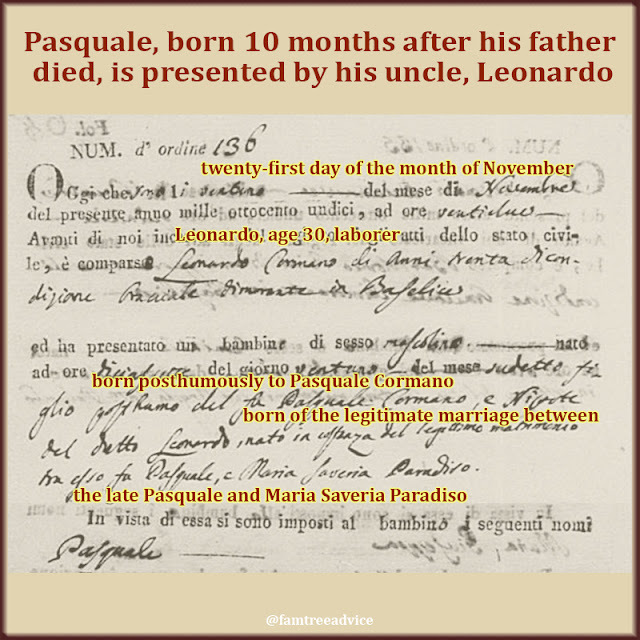 In 19th century Italian marriages, if the bride or groom's father was dead, they needed their paternal grandfather's consent. If that grandfather was dead, guess what's included in the marriage documents? 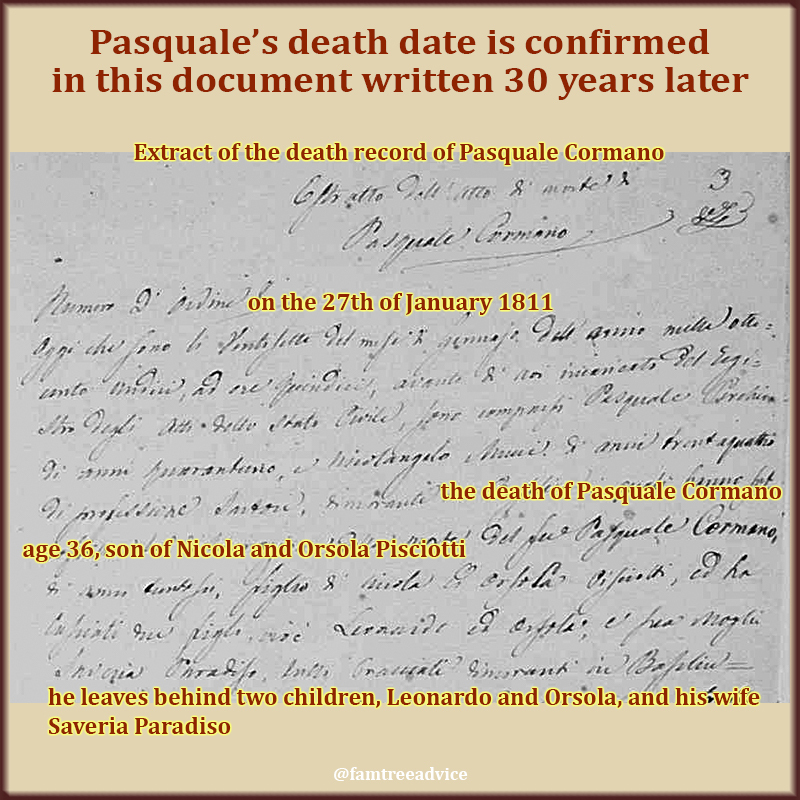 The grandfather's death record and his parents names! That's not the end of the trail. 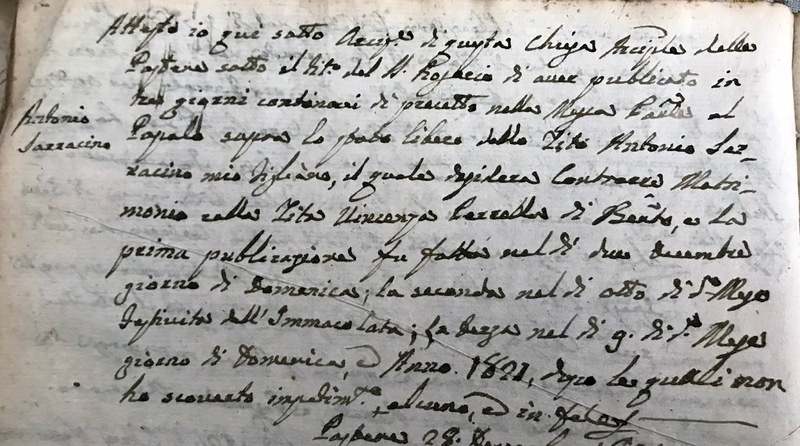 Pastene may not have civil records, but Santa Paolina has plenty. 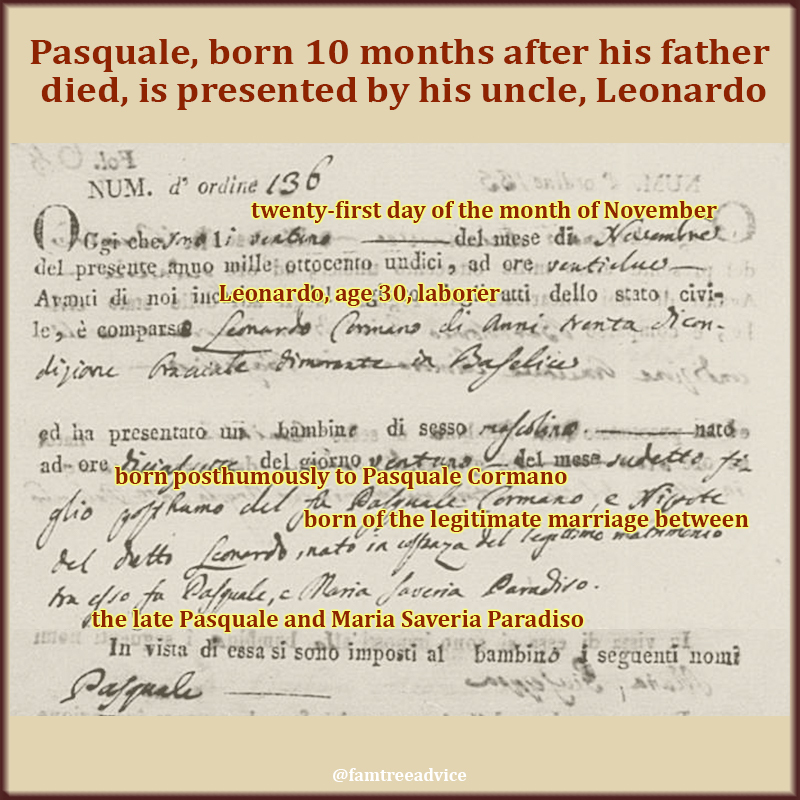 That's how I wound up learning that one of my 5th great grandfathers was Saverio Consolazio. 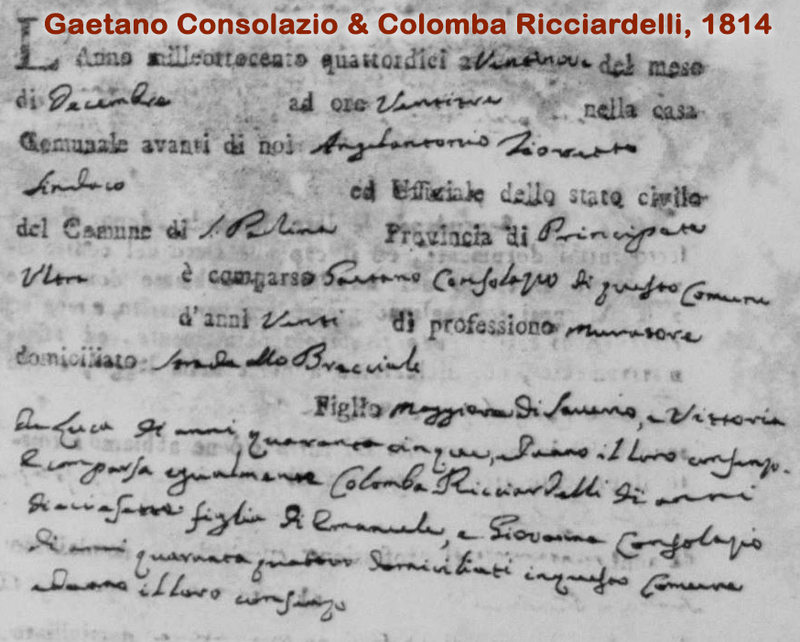 Colomba was born in 1845 to parents who were 27 and 29 years old. There had to be more children. 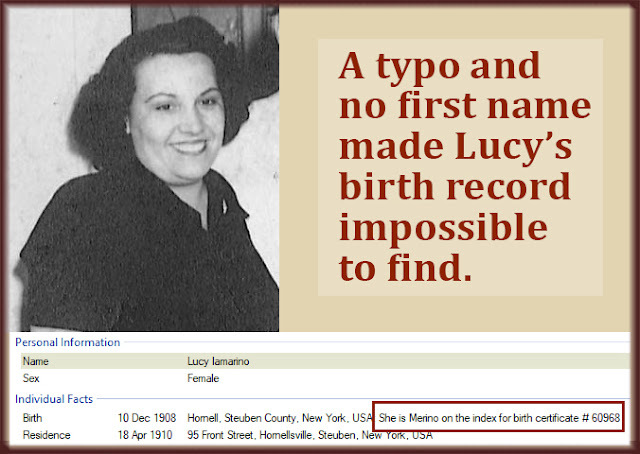 I searched birth records for the surrounding years and found 3 of her siblings. 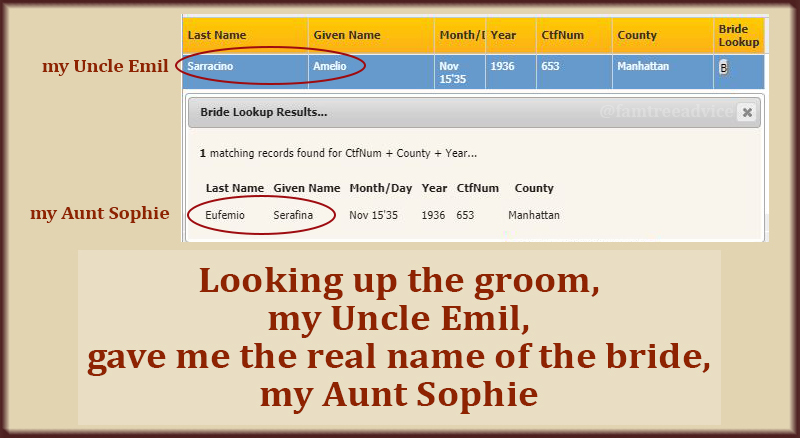 I found marriage documents for two of her siblings and learned some more ancestors' names. I found birth records for some of her siblings' children and learned even more names. 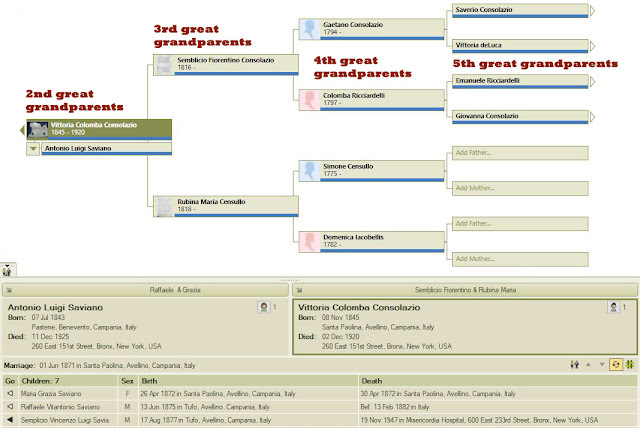 Despite finding no death records, I found the names of Colomba's parents, all 4 grandparents, and one great grandparent, Saverio. Always look into your ancestor's siblings! 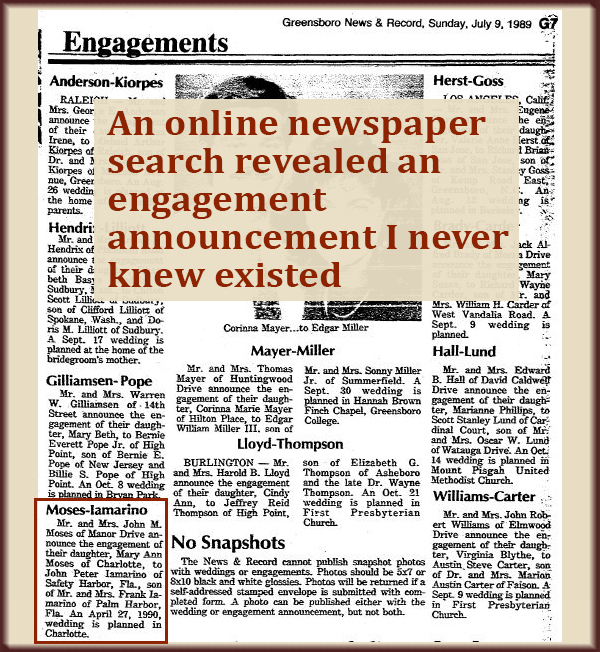 Remember what I wrote earlier about death records within the marriage documents? If the bride or groom's father and paternal grandfather are dead, that grandfather's death record could pre-date the town's civil records. The name and age of the deceased. The date of death and burial. The name of their spouse (if it says they were a widow, you know that spouse died first). The names of their parents (if it says "fu" or "furono", you know one or both parents have died). The church records within the marriage documents may include the names of your fifth great grandparents. 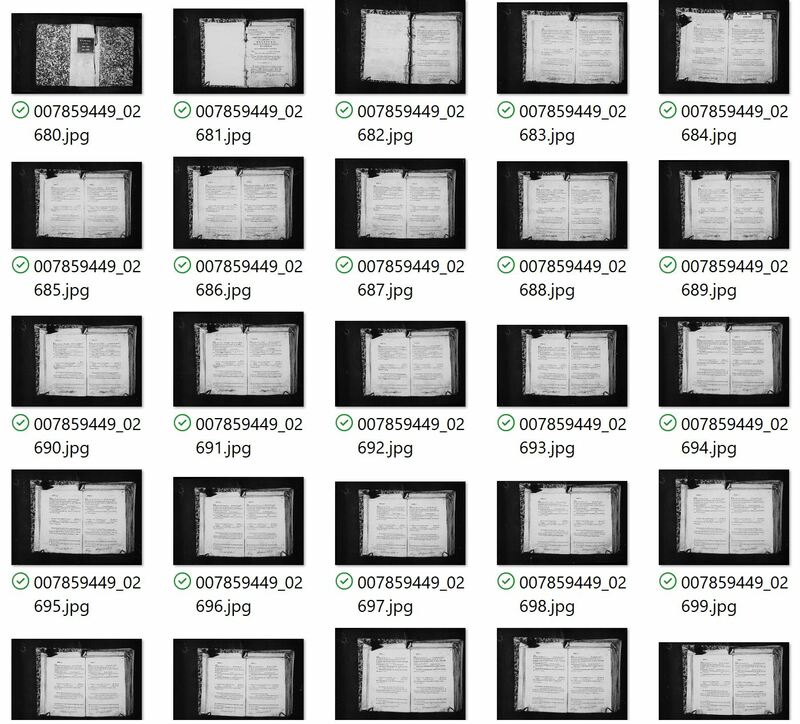 I found the names of 68 of my 128 5th great grandparents using these two methods. How many do you have? How many more can you find now?